Though tablet compression does not generate large volumes of fugitive dust, safe and efficient collection of whatever dust is created by this process is critical. The dust collector linked to the press can contribute to reliable, consistent performance – or detract from it, if components are not properly designed. 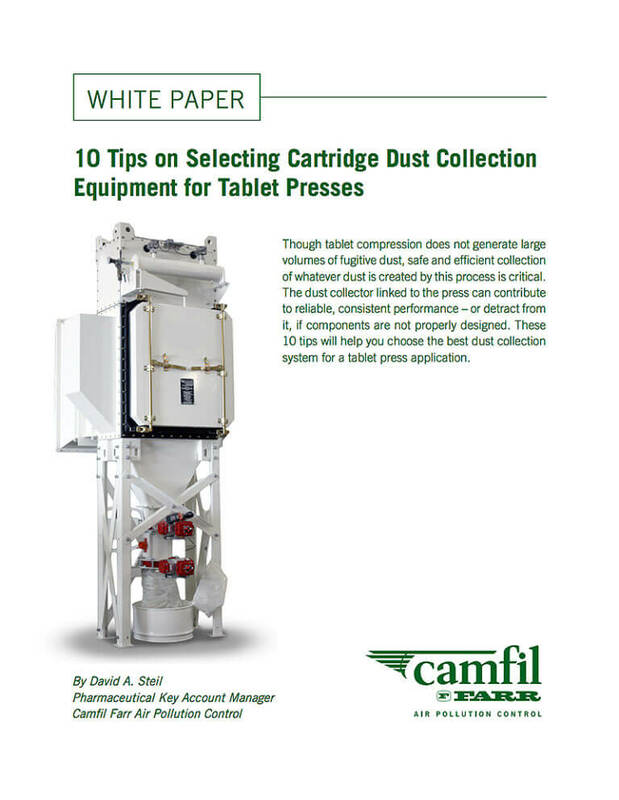 These 10 tips will help you choose the best dust collection system for a tablet press application.